My in-laws suffered an adverse reaction to the pneumonia vaccination and had to be rushed to the hospital for a shot of adrenaline. My granddaughter spent 4 days in bed with a 104 temperature at the age of three after receiving her "childhood" multi-immunization. My mother spent the last five years of her life in a wheelchair with Guillain-Barre Syndrome after receiving a flu shot. Side effects are rare until they happen to you and your loved ones. Vaccinations have the potential of providing miraculous deliverance from disease, but the chemicals used to reduce the cost of manufacturing, shipping, and storing the vaccines are destroying its potential and causing even more distrust of the medical establishment than they are already burdened with. People think I'm ignorant for not giving God-like status to the medical establishment and embracing their wisdom. I rather think that term is better applied to the sheep who worship the white coat savior. Everybody screws up and anybody can look the other way when money is involved or their career can be destroyed for being a whistle-blower. Thanks for giving a first hand account. I wish more people would so we could see the true damage these things do. 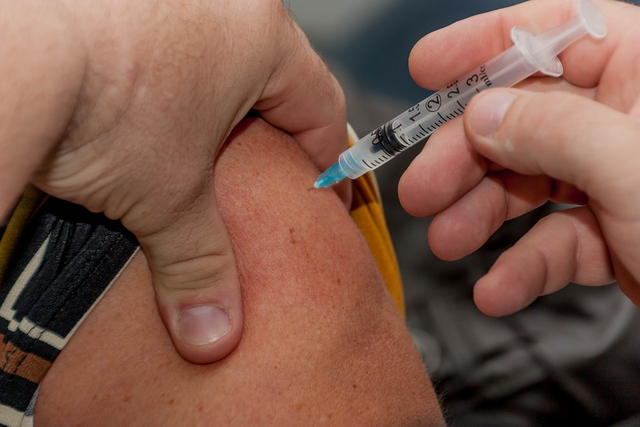 I worked with a guy that told me he was in the military and was required to get a flu shot, and got so sick afterwards he will never get one now! 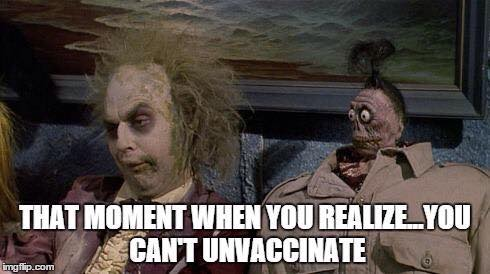 I know people who have gotten a flu shot and then get the flu anyway. The real travesty is Gardasil. That is the cervical cancer vaccine. Over 200 teenage girls who got that shot died from the reaction. He didn't go to school that day. Wise decision. I heard they were pushing it for boys. Cervical cancer is spread by males. Cervical cancer is yet another consequence of promiscuous sexual behavior. I would say that the poor schmuck that was the focus of the article had a fate worse than death. My brother-in-law also has a friend that got a flu shot and started having the Guillain-Barre Syndrome symptoms the very next day. Took an amazingly long time to work his way back. Absolutely scary. Too many sad stories that are summarily dismissed by people who worship the medical establishment. I hear you, I wish more people did.